Hoku Beauty was created in 2011 to provide clients with high quality products and services to maximize results through purely non-surgical means. Esthetician, Lisa, have a passion for skincare and believes that everyone can have healthy beautiful skin. Yes not everyone is born with flawless skin and each type of skin presents different challenges. Consistent treatments and proper homecare regiment can rejuvenate your skin. Hoku Beauty's focus is to provide the most up to date, high quality products and compliment that with technology to achieve and maintain healthy, radiant skin, all the while having an enjoyable, relaxing and memorable experience. 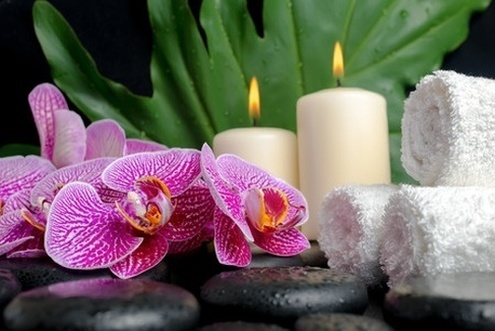 Hoku Beauty strives to maintain an environment where our clients can feel relaxed and at ease while ensuring they are receiving the best services available. Schedule a skin consultation to help you custom design your treatment and skincare regimen. Through proper skincare, you can look and feel better.